The American Helix Mini Uno Daily Driver is a stylish step up from the truly functional Mini Uno. Same great Helix pipe design invented by Boxfan in 2007. 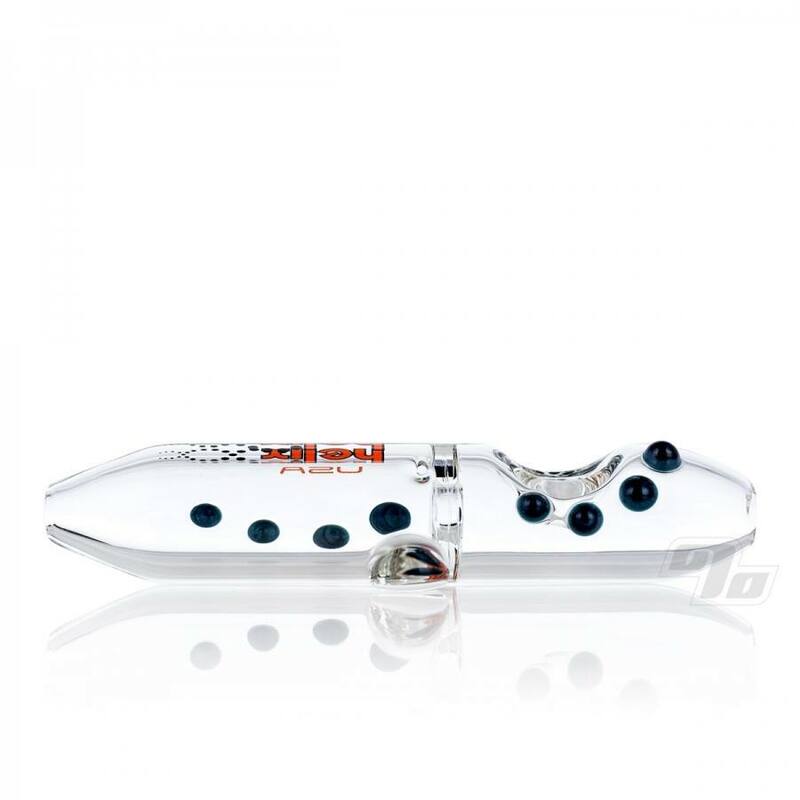 Unique and modern, this glass steamroller pipe features the iconic Helix Venturi technology. As with all American Helix pieces, the Classic Helix is 100% American made glass. We wouldn't have it any other way. The American Helix Pipes designed by Boxfan Willy is handblown in Texas with the utmost care and precision to make sure each piece meets their impeccably high standards. These pipes are engineered with the scientific foundation of Bernoulli's Principle, demonstrating the Venturi Effect with each and every draw. The Venturi chamber (helix body) utilizes the "trinity" inlet system allowing small amounts of cool air to enter the chamber and mix with the hot smoke to form a swirling tornado effect that quite literally carries a helical shape. Each air inlet is precisely made so that there is neither an excess or deficiency of air flow introduced from any point in the "trinity." Approximately 5.25" in length and 1.25" in diameter. Color dots and graphic colors will vary. If you have any color preference(s), please mention them in the Special Instructions area of Checkout. Also, beware that there is another Helix out there in less reputable headshops but in person you'll see there's no comparison. If the glass piece doesn't say "American" before Helix, then it's cheap China glass and you don't want it.